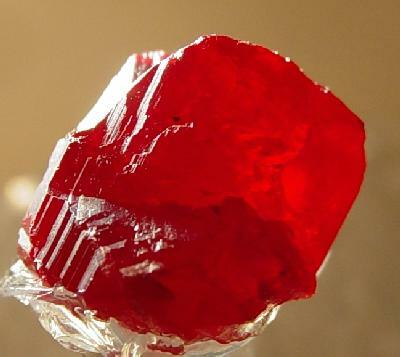 Cinnabar represents the deep, dark Earth energies of the feminine, grounding the solar energy of the masculine; the connection of Heaven and Earth. I adore working with this fiery energy and color so close to my nature. I’m descended from a lineage of Scottish clans whose names denote “Stewards of the people,” (Stewart/Stuart) and the “Tonsured ones who succor,” (Macmillan). These were the ancient pre-Christian priests and priestesses of Great Britain, and I carry on our family tradition of service in this beautiful, elegant manner. 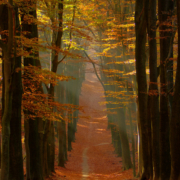 The natural Earth science of Feng Shui, literally translated as “wind-water,” is a Chinese-Taoist-Bon philosophical system of harmonizing the elements within an environment. In Feng Shui practice, cinnabar is often used in very small doses, mixed with other elements, for blessings, transcendental enhancements and seals, to balance and sanctify a space. Working with a very small dose has powerful healing effects. 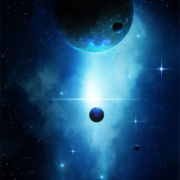 This concept has a close connection to the methods used in Homeopathy and Traditional Chinese Medicine, in which certain elements are considered toxic in large quantities, yet when used in minute doses they can trigger profound healing. The rich, deep red, so evocative of the ancient Chinese lacquer pieces cherished by collectors, becomes a metaphor in Feng Shui’s use of this substance. In Chinese symbolism, cinnabar (vermilion) and gold are regarded as the two harmonious colours of joy and prosperity. In Vaastu shastra (vāstu śāstra), an ancient Indian science of architecture and construction, another red powder has been used for centuries: red sandalwood. It is an ancient ceremonial resin employed in Vedic culture for purification, invoking the spiritual, removing negativity, increasing opportunities and success, and it is often burned for protection and healing. The seal for cinnabarB is “cinnabar” written in a classic uchen style, surrounded by the lotus flower in a tixi scrollwork pattern. The rich vermillion-coloured ink seals this site, and all of my finished products. The lotus flower, considered sacred in many cultures, symbolizes the union of the four elements: earth, air, fire, and water. With roots in the earth, growing in water, leaves nourished by air, the flower blooms through the power of the sun’s fire. The lotus is therefore a symbol of the perfection of the fourfold order of the natural world, and the true soul of an individual: creation and clarity of heart and mind. 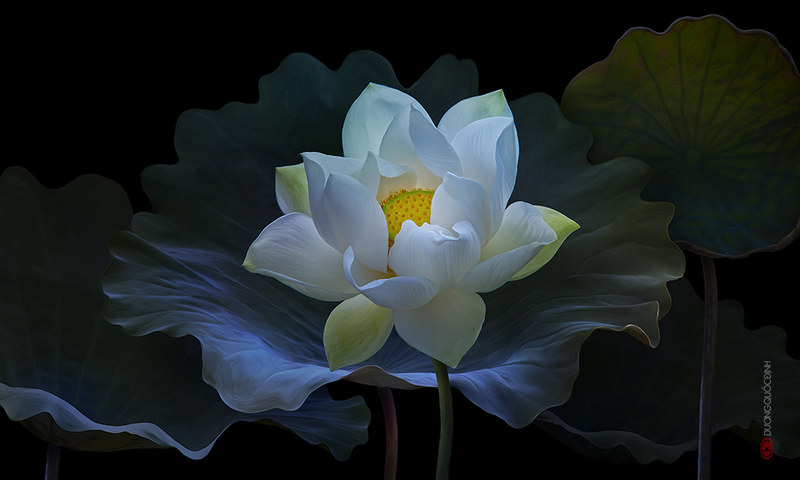 Representing long life, the lotus is an example of divine beauty, strength, and good luck, as well as honour and respect. 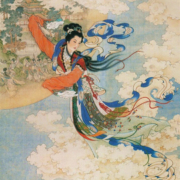 As one of the Eight Buddhist symbols of good fortune, it is a symbol of purity, rising up through the muddy waters of illusion to blossom into enlightenment, while its unfolding petals suggest the expansion of the soul. I would love to partake some of this wonderful wisdom with you so do contact me for a consultation. Let’s bring some of this sacredness into your space today. 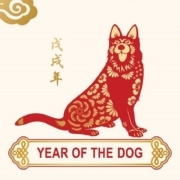 The Year of the Dog has Begun - Have You Noticed? FIRE and GHOST FLOWERS The Year of the Dog has Begun – Have You Noticed?